Recently, one of my close relative wanted to install a security plan into his house using a CCTV solution (closed circuit television aka video surveillance). We got some quotations which were clearly out of budget for us (the lowest price was 1300€, including 4 cameras, a NVR box and the setup). My challenge was to cut the price at least by 2, including the hardware, the software and the setup. The underlying benefit is also to explore and to learn. I like starting with the take aways first so you can read further the details if interested. Don’t use a remote server as a NVR hardware solution. Use instead a local hardware, such as the raspberryPI one. Thus, a raspberryPI with a light Operating system (Raspbian Stretch Lite) will be used as a NVR (Network Video Recording) hardware solution, as Raspberry has a H264 hardware encoding/decoding capabilities. Shinobi is an Open Source CCTV solution that will install on that raspberry PI device and use it as a NVR software solution. Purchase your cameras having 2 mandatory requirements : they should be IP compliant, and should be ONVIF standards compliant. 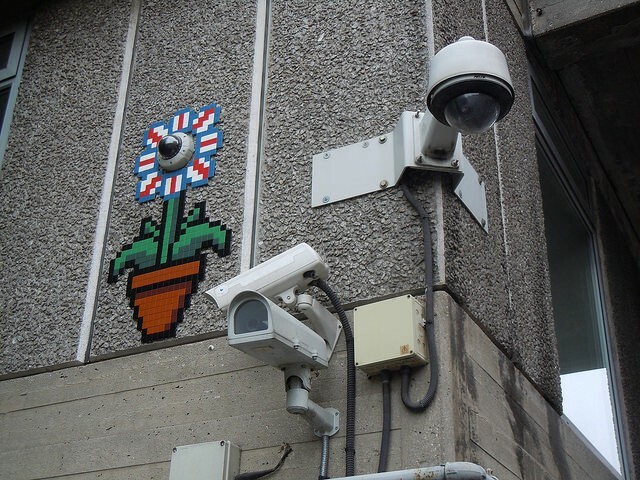 Configuring your cameras within CCTV solution will be addressed in another blog post. Open Source doesn’t necessarely mean free, but it has the benefit to opening up the source code. And as a software engineer, I’d rather pay for a software that I can dig into and modify, rather than a closed one. There are a bunch of camera out there, with various capabilities and various prices ! Which one to purchase and install ?! In this article, I won’t recommand you any particular camera device because it depends not only on ones budgets, but also on ones needs (night vision, detections, audio, lens quality…). But, there is definitely one point to take into account when purchasing yours : your camera should be an IP device, and it should be ONVIF compliant. That means that whatever the manufacturer is, if your camera is ONVIF compliant, then it implements the open industry standards. This will give you the ability to interconnect many devices to each other, and most importantly for us, to use our Open Source Shinobi NVR to discover and communicate with our cameras. I will make another post showing how to configure your cameras and plug them into Shinobi. But let’s first have shinobi running, which is the purpose of this artiche. During my experiment, I first tried to install Shinobi on a remote server having an Atom N2800 1,86GHz, 4GB of RAM that I would use a NVR hardware. But to connect my cameras on that remote server, I had to configure my local router to port-forwad the real time stream from camera, but also its ONVIF protocol port. Also, there were a huge latency from streaming the camera to that remote NVR server (limited by my internet upload bandwidth). not opening the stream to outside (which could be a security breach). Remote NVR server: very bad solution. So my choice went on using a raspberryPI. The price is really affordable for our use case (roughly 35€) and the hardware capabilities more than enough. The most important feature is its H264 hardware encoding/decoding capability. I had one raspberryPI at home, which is the model 1B+ from 2014. It does the job, but if you are not equipped, I recommand to purchase the latest model to date (model 3 B+). Insert the SD card into your raspberry PI, plug a keyboard, your HDMI & power up your raspberry. Login into your raspberry. Default login is pi, password is raspberry. To access your device from your local network, you need to know its local IP address. However, this address is attributed by your router and might change over time. So either set a static IP to your raspberryPI configuring your routeur (associating a static local IP to the MAC address of your raspberryPI). Do you want to install a custom location for Shinobi? Install Shinobi CE or Shinobi Pro? *Note : Shinobi Pro is free for personal use. The installer will say that the OS is not detected. Select ubuntu instead. Shinobi — Do you want to Install MariaDB? Choose No if you already have it. Shinobi — Start Shinobi and set to start on boot? The entire raspbian + shinobi (including all dependencies) only took less that 2GB of space. Now installation is complete !!! || Open http://192.168.0.10:8080/super in your web browser. As soon as logged into http://raspberrypi.local:8080/super, change your login/pwd in the ‘Preferences’ tab for security reason. Apart the super user, you need to add a user to shinobi (this user can have the same email). You are ready to use your raspberryPi with Shinobi as a local NVR solution.